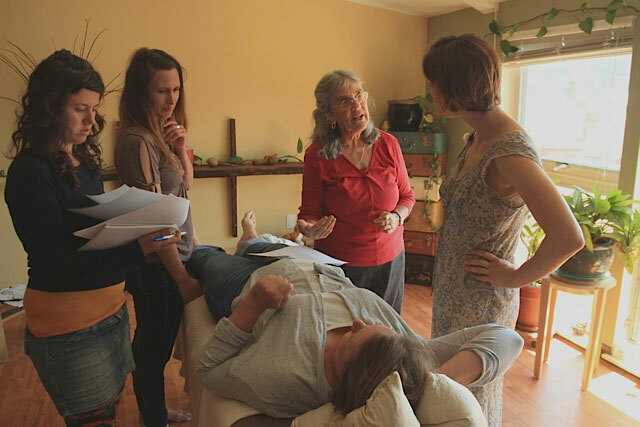 Raven Lang was one of the first homebirth midwives in California. In 1970 she founded the Santa Cruz Birth Center, the first birth center in North America. Two years and fifty births later she wrote Birth Book. In 1972 Raven immigrated to British Columbia, where she helped organize and run the first birth center in B.C. Six years later, she returned to California and founded the Institute of Feminine Arts, the first non-medical school for midwifery in North America. In 1982 she began her training in TCM and incorporated TCM into her midwifery. For the next three years she apprenticed with Dr. Miriam Lee, a nurse midwife from China and one of the first licensed acupuncturists in California. During her time with Dr. Lee, Raven learned the patterns of Master Tung’s Magic Points. From 1982 to 2012 Raven practiced in Santa Cruz, California, specializing in women’s medicine and pediatrics. Since 2012, Raven has left her practice and is in semi-retirement. In 2013 she attended a yearlong course in studying the classics, with Dr. Elisabeth Rochat de la Vallee. Presently Raven teaches classes, offers externships, and sits as a board member for Institute of Feminine Arts and Sciences, a newly opened school of midwifery in Santa Rosa, California. She is a dynamic teacher and teaches subjects as diverse as the politics and history of women’s health, parenting, the science and art of obstetrics, and pediatrics. © 2017 Raven Lang. All Rights Reserved.